Two services of remembrance will be held in the borough next week to honour the memory of the men and women of the armed forces who have given their lives in the service of their country. 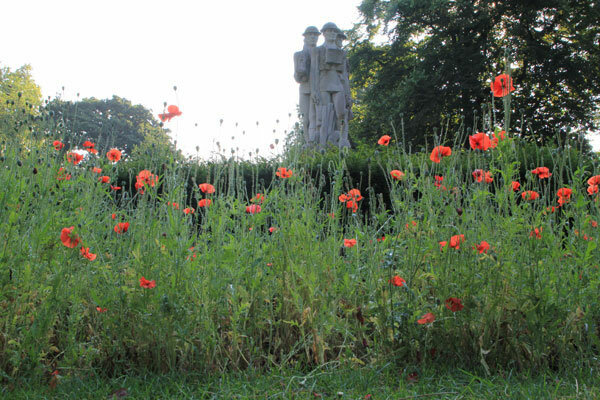 Annual services of remembrance will be held in Battersea Park and at Wandsworth Town Hall at 11am on Armistice Day - Monday, November 11 - to mark the 95th anniversary of the moment the guns fell silent at the end of hostilities in the First World War. Eric Kennington's memorial to the 24th Division Both services will commence at 10.45am and there will be a two minutes' silence at 11am to mark the time on November 11, 1918, that a ceasefire came into effect after four years of bitter fighting. Attending the Battersea Park ceremony will be the Mayor of Wandsworth Cllr Angela Graham and council leader Ravi Govindia as well as representatives of service organisations, other local dignitaries and private mourners, who will lay wreaths. Local bugler Jonathan Spencer will sound Last Post and Reveille and a piper from the London Irish Rifles will play a Lament as the wreaths are laid. This service will be at the park's war memorial, located at the junction of Central Avenue and East Carriage Drive. The memorial was created by renowned war artist and sculptor Eric Kennington, who served as a private in the 13th London Regiment in Flanders and in France before being wounded and sent home in June 1915. His stone memorial to the 24th Infantry Division was unveiled in Battersea Park in 1924. The town hall service will be in the garden fronting Wandsworth High Street where three stone memorial tablets commemorate the service and sacrifices made by local men and women who have served in the borough's volunteer armed forces since 1914. A tablet was first laid here in 1965 to honour the memory of men of the 13th Battalion of the East Surrey Regiment - the Wandsworth Pals battalion - who answered the Mayor of Wandsworth's call to arms in 1915. Two others were added in 2009 to honour those who have served in 16 locally-based territorial army units since the onset of the First World War. While the town hall ceremony is aimed chiefly at council staff, the public are also welcome to attend. A pupil from St Cecilia's CofE secondary school in Southfields, which specialises in music, will play Last Post and Reveille.